Fuzzy Faces Refuge (FFR) is a NC 501c3 non-profit that provides a sanctuary for endangered heritage breed farm animals where people of all abilities can interact safely with animals using positive, therapeutic experiences that build confidence, enable positive progress and afford opportunities that may otherwise be unavailable. 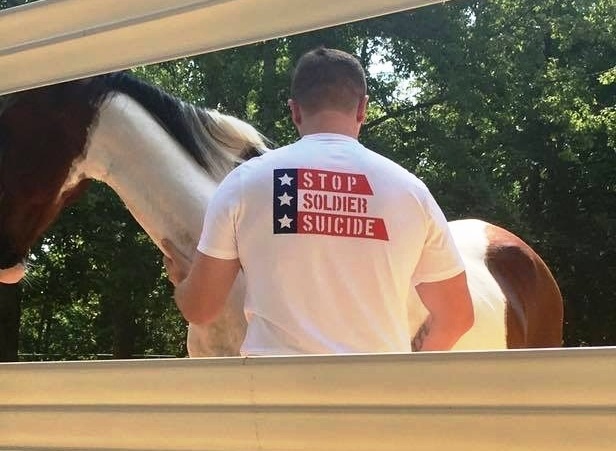 Freedom Steps is a program offered by FFR's PATH Int'l Member Center, providing equine-assisted activities and therapeutic riding for those who live with physical, emotional or cognitive challenges, or those enduring psychological and/or physical wounds, including children, adults, veterans and first responders. FFR offers a peaceful, family-friendly environment that promotes personal growth, provides rewarding experiences, enables new friendships and creates a sense of freedom…one step at a time. Fuzzy Faces Refuge (FFR) is an all volunteer 501c3 North Carolina nonprofit organization that is enhancing the lives of people and animals through programs that benefit both. As part of our education and conservancy effort, we offer therapeutic experiences with critically endangered heritage livestock breeds. We are also home to the Freedom Steps Equine Services program, providing therapeutic riding and equine interaction activities to children with special needs, Veterans, First Responders, Community Heroes and their families. In addition, we have an exclusive partnership with Animal Assisted Therapy of the Triangle. Dr. Christina Strayer and her team of counselors bring their clients to the Refuge each week for therapeutic, healing activities. The beautiful, private refuge setting includes areas for individuals and their families to engage in therapeutic activities and learn horsemanship. All visits are by appointment only to ensure your best experience and privacy. We are a 501c3 and PATH International Member Center, offering therapeutic riding and rehabilitation focused services for Children with special needs, Veterans, their families and others with special challenges who may be in need of personal growth activities and education within our community through our Freedom Steps Equine Services program. We are a proud partner with Animal Assisted Therapy of the Triangle (AATT). For anyone who is struggling with difficult or painful life issues, searching for life balance, managing stress or wanting to increase strengths and happiness, Your therapist (human and animal) can help guide you to a stronger you! Fuzzy Faces Refuge (FFR) is a haven for critically endangered livestock and poultry. We promote breeds that are easy to raise and have calm dispositions so that therapeutic opportunities can be experienced both at our location and at yours. If you would like to adopt your very own critically endangered species to raise and enjoy, please let us know! We believe that every person has value and not only the ability to contribute to society in meaningful ways but a strong desire to do so. That is why our volunteers are strong, sincere educators of inclusion for all persons. We are wholehearted advocates for universal design and possess a core belief that everyone working together can and will create a better world. Therefore, we are an organization that embraces and provides educational opportunities for all persons regardless of ability so that we can grow in understanding and become stronger as a result. Our organization partners with other community groups that support those individuals who have experienced spiritual, physical, mental or emotional challenges. We provide therapeutic opportunities for children and adults with a primary focus on Veterans, First Responders, Local Heroes and their families. FFR supports the community by partnering with local organizations, participating in local events, and hosting private events at our 70-acre farm. FFR ensures that each individual having contact with our animals is provided with training to ensure success for everyone!